Help your fence stand up to the elements this winter. Nothing can spruce up and add visual appeal to your property like a wood fence. However, these fences require a little TLC year round to look and function their best. With these winter fence care tips and strategies on hand, you will be more than prepared to keep your fence looking great through even the harshest weather. 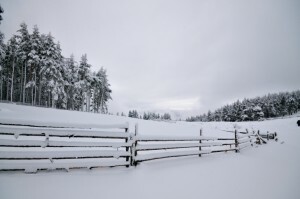 How your fence will withstand winter’s frigid temperatures and unpredictable weather largely depends on the integrity of your fence. What is it made of? How well is it installed? Caring for a well selected fence that has been installed by a licensed and experienced professional contractor is simple. This ensures that manufacturer warranty conditions are honored, your fence performance will meet the conditions of your environment, and that all building, HOA, and local laws and regulations are satisfied. Caring for a lower quality fence that does not adhere to these stipulations can be an uphill battle. Monitor the progression of storms in your area and be prepared to handle them. Once you know of any potential erosion or water drainage issues you can address them and prevent them from leading to the damage of your wood fence. 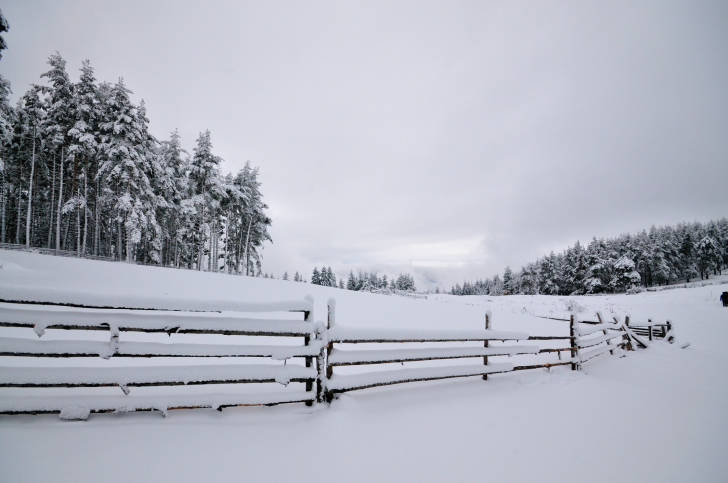 If left unattended, melting and freezing snow can wreak havoc on your fence. The freeze-thaw cycle can cause a lot of damage. When snow melts it seeps into the natural cracks and crevices of the wood. As it freezes and thaws it contracts and expands, which can cause parts of your wood fence to crack and split and lead to warping and breakage. Call Hercules Fence of Northern Virginia for your fencing needs. We have decades of experience in the fencing industry, and can offer you the best in ornamental steel, chain link, wood fence and more. Our dedicated teams of fencing professionals are highly trained, skilled, and experienced in providing quality fence installations of any type. We’ll work with you to find a fence that bests suits your needs and budget. This entry was posted on Friday, January 15th, 2016 at 10:03 pm. Both comments and pings are currently closed.